The general gist of things at the moment is that people seem to be a bit pissed off with banks. The Greeks don’t seem to be able to access any money, we’re all responsible for bailing them out, and no one seems to be getting too much in return. Living here in London, “banker” is a word most people say with a sneer, while rising prices – even the steepest ones – are something we barely raise an eyebrow at any more. Now, I’m not quite left enough to suggest we do without them altogether, but there is a certain joy that comes about when completing a transaction with something other than money. At various points in my life, I’ve experienced different means of payment – some structured, some spontaneous – and for some reason it’s always lovelier to trade in this way – whether with goods or services. The line blurs between who is the ‘buyer’ and who the ‘seller’ – these terms become meaningless when what is occurring is an exchange, not a payment. I started out giving haircuts to friends. I was skint, they were skint – but everyone needs their hair cut. They would offer ice creams, cake – a token of thanks rather than payment. I wasn’t a pro; we both knew the deal. They gained a new hairstyle, I enjoyed the treats – and we both relished the time spent catching up to the rhythm of the snipping scissors. I was living in southern Spain at the time, a newly qualified TEFL teacher desperately seeking students, time rich, money poor. I learned Spanish largely through sessions with an intercambio – literally, an ‘exchange’. Jesús had found my number, told me he needed classes in order to be able to pass his exams, but was just starting a new business and couldn’t pay. So was there any way we could work this out? I didn’t think twice – I needed Spanish as much as I needed money; learning the language would bring in the classes I needed in order to be able to rent my room and buy food. No goods changed hands this time (though he did always insist on buying the coffee) it was a straightforward exchange of time and expertise. And we both became fluent by the end of it. Then I travelled to the Ecuadorian rainforest to teach English as a volunteer. My reward, really, was being able to spend a month living in the jungle – a childhood dream. But my students, bored housewives without dollars to spare, still chose to show their thanks by bringing me homemade coconut sweets, juicy sugarcane chopped from the garden, fans they had woven from leaves – a valuable gift in the heat. Vilma, the village baker, wanted to join my classes but was busy making loaves all day, so I agreed to come over to her house a couple of evenings a week for a private lesson. I never expected payment – but how could I refuse her offer of fresh, sweet bread? We rewarded each other with our time and talents – my language, her baking – and both felt good about the exchange. Every now and then her husband, Alejandro, would give me a green coconut to wash it down with. But the payment didn’t stop there. 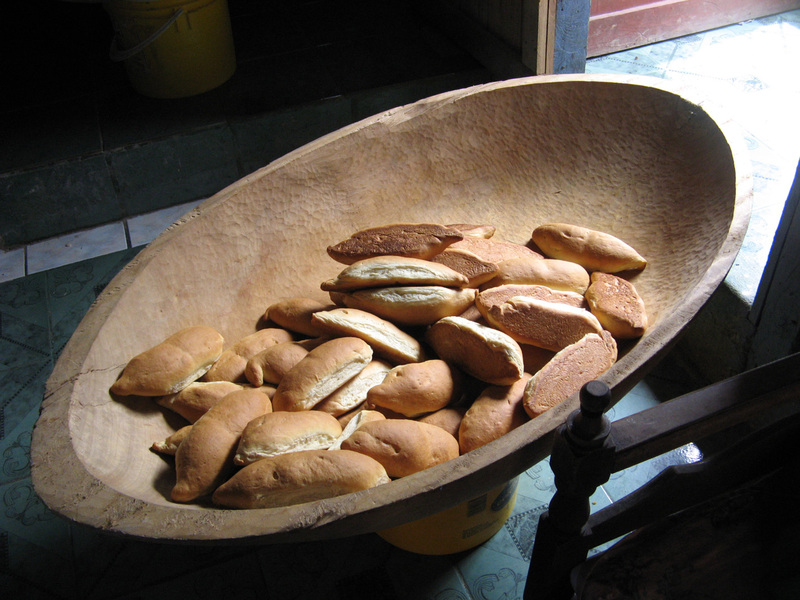 I received more bread than I could eat, and it wouldn’t keep – least of all in the tropical heat. So I would wander around the village, dropping in on my neighbours, encountering children in the stony streets, and hand out the surplus loaves. This sharing of bread seeded friendships. It gave me the opportunity to sit and chat with people, and connect with them. It was a way to pass the time. Vilma made me happy by giving me bread, and sharing it out made me even happier. If I had been paid for my classes in cash, I’m sure I wouldn’t have considered I had more money than I could spend – even though there was very little in the village to buy. I’m sure I wouldn’t have meandered on my way home, handing out coins to gleeful kids, pressing dollar bills into my new friends’ hands. It would be an odd thing to do. And no one ever considers that they have more money than they need. We are, by nature, greedy – we all want more. But not with bread. Why have more bread than you can eat? It’ll just attract the jungle wildlife into your home. No one needs to hear cockroaches pitter-pattering around in the darkness. 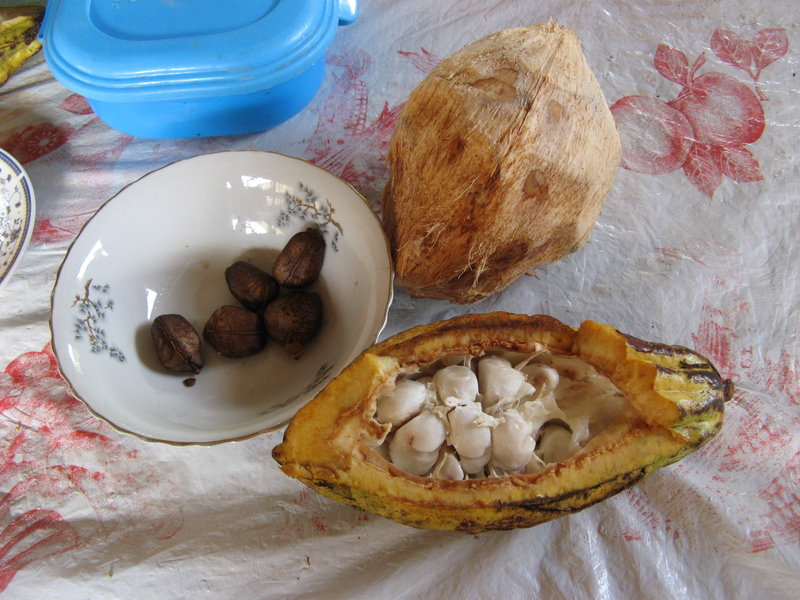 Other jungle treats I sometimes received in exchange for classes: chestnuts, coconut, chocolate. My last experience was on my return to the UK, and had a slightly more modern twist. I moved into a little terraced house, and shortly after there was a knock on the door. It was my new next door neighbour, Gareth, cradling a crazy-shaped vegetable. Gareth had grown the vegetable – some kind of squash – on his allotment, and he gave it to me as a moving in gift – and as a means of introduction. We became good friends. But shortly after our first encounter, he mentioned that he was having trouble getting an Internet connection – he had to wait for lines to be installed, connected, it could take weeks. Ad a PhD student, it was a total pain. So I told him my wifi password – the signal was strong enough through the walls. Uncomfortable with the idea of getting something for nothing, Gareth offered to bring homegrown veg in exchange for my wifi. 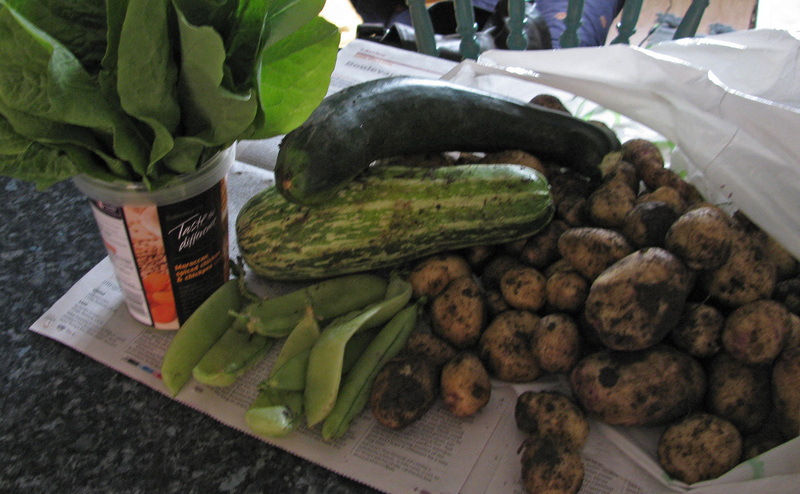 It would have been silly to demand money – I wasn’t paying any extra for sharing my connection, And somehow there was something incredibly pleasing about the deliveries of odd veg – much of which I could never have bought anyway, regardless of how much money I was prepared to spend. Much like Vilma’s bread, there was no opportunity for greed. Gareth couldn’t hoard his wifi. I could only eat so much veg – all the more perishable for being organic. A bank transfer is impersonal, a cash payment can be awkward; the presenting of a purple carrot is a conversation starter, cooking it a learning experience. As the northern winter settled in and froze the ground, the veg deliveries fizzled out, but Gareth still knocked on the door from time to time – with two bottles of scrumpy in his hand. It was time to sample his homebrew, and what’s the point of brewing booze if you have no one to share it with? To my knowledge, Gareth never managed to set up his internet connection, before he moved out, one year later. But the exchanges had become gestures of friendship – the wifi password merely symbolic. Today, this concept has been expanded. Websites such as TimeBank present formalised ways for people to volunteer their time, which is logged and can be exchanged at a later date. Cooking, mentoring, interpreting, good old hairdressing can all be offered – or received – with no exchange of money. But rarely is the recipient also the donor, and I like the relationship it creates between two people when one offers wifi, another cider. One a language, the other bread. But all initiatives like this should really be celebrated – for valuing time and skills over money, and for creating communities dependent on each other – without being able to become greedy. And of course, it’s nice to keep some tiny aspects of our lives – whether that’s our haircuts or our vegetable stew – all to ourselves, without even having to consider that somehow, somewhere, a bank has just made a profit from it. Tags: ecuador, gifts, spain. Bookmark the permalink.